Hi! 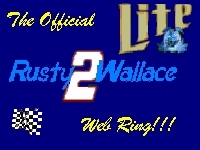 Thanx for visiting my tribute to the greatest stock car racer of all time--Rusty Wallace!! 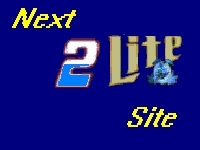 This page is currently under some refurbishing, so please check back often!--The finished product should be ready by the time the new season starts on February 8th, 1998, in Daytona. For now, there are a few links for you to visit.